KHTK Postulate P6: The speed of propagation of electromagnetic disturbance decreases with increasing inertia of disturbance levels. As inertia increases with disturbance levels it offers greater resistance to the propagation of disturbance. The constant for the speed of light (3 x 108 meters per second) applies only to a narrow band of the electromagnetic spectrum at DL49. It is expected that radio waves (DL27) propagate at a higher speed, and the gamma rays (DL65) propagate at a slower speed than the speed of light. KHTK Postulate P7: The electromagnetic disturbance propagates in the form of discrete wave packets of finite number of wavelengths. KHTK Postulate P8: Particle-like properties come to dominate at higher disturbance levels. At lower disturbance levels the wave packets are extended over long distance and behave like waves. At higher disturbance levels spacetime condenses and the wave packet increasingly assumes the appearance of a particle. Higher inertia and condensation of spacetime expresses itself first as charge, and then as mass associated with the particle. This ratio of mass to charge increases with increasing disturbance levels. At much higher disturbance levels, even the charge seems to “condense” into mass from electron to proton to neutron. KHTK Postulate P9: The location of an object in this universe is only as certain as its inertia. The stars and planets in this universe are massive and can be located with precision. 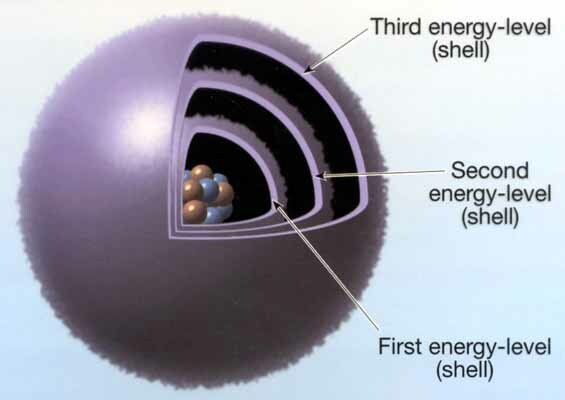 However, the electrons in an atom have very little mass or inertia. They can be located in highly probabilistic terms only. Thus, it appears that the higher is the inertia of an object, the greater is the certainty with which it may be located as a discrete entity. KHTK Postulate P10: The universe is made of multi-layered spacetime. Each disturbance level acts like a unique layer of inertia and spacetime. Together, these layers of inertia and spacetime seem to make up this universe. The fundamental inertial and spacetime characteristics of solid objects (> DL100) shall be very different from inertial and spacetime characteristics of light at DL50. We cannot reasonably compare the speed of a solid object with the speed of light in a framework based on solid objects (> DL100). We may reasonably compare such speeds only in a framework based on space (DL0).